As I sat down to watch “Kubo and the Two Strings,” I noticed a child sitting near me with his father. He couldn’t have been older than six. He was squirming in his chair, making lots of noise about wanting his Icee. I could make out glances of the father constantly smiling, even though his kid wasn’t interested in the movie. Perhaps the father wanted to see the movie more than his kid, or he was just thrilled to share a moment with his child. Or, maybe he knew what was coming. 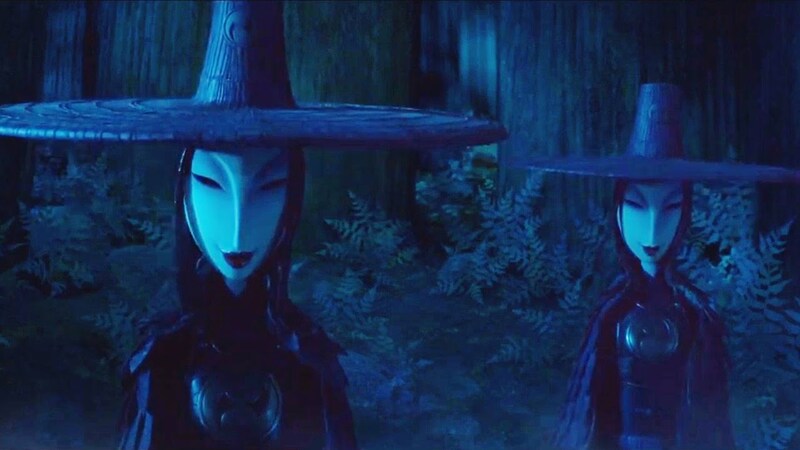 Because after a certain point in “Kubo and the Two Strings,” when the villains make their first appearance, and the bright and colorful Japanese world turns to night and we see these two shadowy figures drapped in long cloaks wearing masks with an eternal smile that cover their entire faces, this film takes a drastic and severely dark turn. After that scene, I never heard a peep out of the kid. I would occasionally glance over to see if he was still there and not asleep – his eyes were transfixed on the screen, sometimes filled with awe, other times with terror. 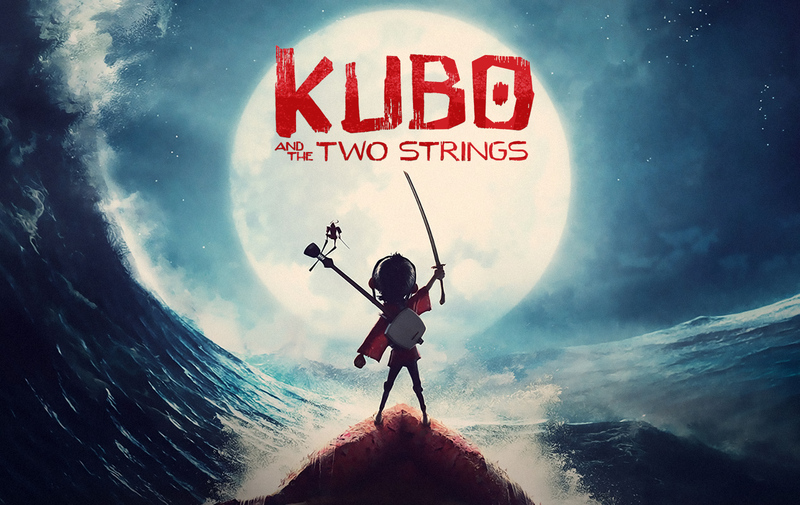 Some people have compared “Kubo and the Two Strings” to Japanese mythology, as well as films from Disney and Pixar, especially darker ones. But after watching this little boy go through so many startling emotions, I think “Kubo” has more in common with Don Bluth films from the 1980s, like “The Secret of NIHM” and “The Land Before Time.” These films hid behind the cloak of being called “children’s animation” by showing colorful and cute cartoons, only to throw our heroes into horrifying situations that would scar any child for life. And yet, those who stuck around couldn’t get enough of those films. While Disney animated films keep a child distracted, usually putting it on in the background while kids play with toys, Don Bluth’s best work demanded attention. Those films were haunting, but that’s what made them so memorable. “Kubo and the Two Strings” works like this, as you get invested in the dark mystery of this world, learning how the mythmaking works and the fantastic powers at play. As our hero, Kubo (Art Parkinson), is born his grandfather steals one of his eyes. His parents take Kubo away from his castle and flee, his father dying in the process. Kubo’s mother takes him to a hidden village, where his mother lies motionless during the day and is lively and loving as soon as the moon comes out. During the day, Kubo goes into the village and uses his magical powers to make origami come to life, which he uses to tell fantastic stories of the samurai Hanzo fighting the dreaded Moon King, though he is never able to come up with an ending to his story. But one night, Kubo finds out why he shouldn’t stay out once the sun sets, and learns that his story about Hanzo is not a fantasy. With the help of a talking monkey (Charlize Theron) and a cursed samurai-bug (Matthew McConaughey), Kubo now sets out on a journey to collect the mythical pieces of Hanzo’s armor and fight the Moon King, his grandfather. This is the best looking film Laika productions has created since “Coraline,” with a distinct focus on origami and use of paper. At one point, Kubo creates a ship out of leaves and they use it to sail across this expansive ocean. There’s something about this flimsy orange boat traveling across a vast sea with hardly a ripple to be seen, the water being a perfect mirror to the setting sun. These beautiful moments are contrasted nicely with the horrors that await them at every turn. Like a massive red skeleton with samurai swords sticking out of its head, or an ocean filled with enormous yellow eyes that fill you with misery, making you relive your worst memories until you drown of sadness. This is what I mean by “Kubo” being similar to Don Bluth’s films – This world is filled with wonders that too mysterious to fully comprehend, but also ones that are too terrifying. It is both surreal and whimsical at the same time. It can be hard to watch, but you can’t look away from it either. 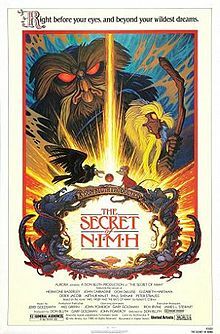 “Kubo and the Two Strings” works a modern “The Secret of NIMH,” with some added mythology and fantasy for good measure. This one is beautifully animated, using both stop-motion animation and CGI, filled with a colorful cast of characters and a fascinating back story for Kubo. But the film doesn’t shy away from dark and disturbing moments and show that this world can be as harsh and cruel as it is wonderous and awesome. For that reason, it is one of the best children’s’ films I’ve seen in a while. I completely agree. It’s contrast of beauty and terror is so captivating. 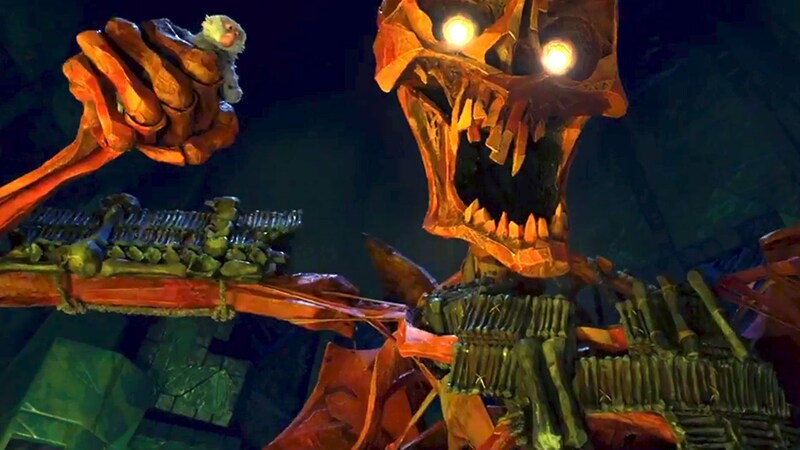 I’m still amazed by LAIKA’s beautiful stop motion, puppets and sets. They all look like CGI. Great review! This is LAIKA’s best film, in my opinion. Not favorite – that one still goes to ParaNorman – but definitely the best in terms of craft and storytelling.